Triad Stage - Cast members Robert Zukerman, Jim Shankman, Dina Ann Comolli and Christopher Gerson at first rehearsal.Triad Stage - Director and Founding Artistic Director Preston Lane at first rehearsal.Triad Stage - Dina Ann Comolli and Christopher Gerson in rehearsal for 'The Price'Triad Stage - Christopher Gerson rehearsing his fencing for 'The Price'Triad Stage - Dina Ann Comolli in rehearsal for 'The Price'Triad Stage - Director Preston Lane in rehearsal for 'The Price'Triad Stage - Dina Ann Comolli, Jim Shankman, Christopher Gerson and Robert Zukerman in 'The Price'. Photo by VanderVeen Photographers.Triad Stage - Christopher Gerson, Robert Zukerman and Dina Ann Comolli in 'The Price'. 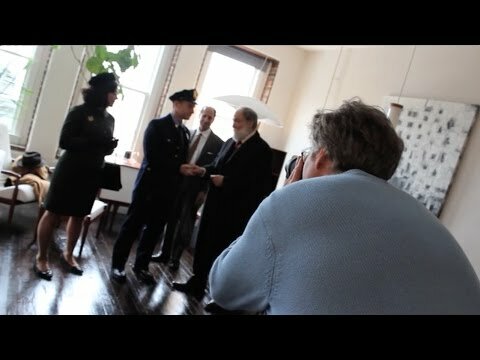 Photo by VanderVeen Photographers.Triad Stage - Robert Zukerman, Jim Shankman, Director Preston Lane, Christopher Gerson and Dina Ann Comolli for 'The Price'. Photo by VanderVeen Photographers.Triad Stage - Christopher Gerson, Jim Zukerman and Dina Ann Comolli in 'The Price.' Photo by VanderVeen Photographers.Triad Stage - Christopher Gerson and Dina Ann Comolli in 'The Price.' Photo by VanderVeen Photographers.Triad Stage - Christopher Gerson, Dina Ann Comolliand Jim Shankman in 'The Price.' Photo by VanderVeen Photographers.Triad Stage - Robert Zukerman in 'The Price.' Photo by VanderVeen Photographers. It’s always interesting to see how Triad Stage will outdo itself from one production to another. It’s not necessarily a concerted self-one-upmanship, just a standard that treats every play as a fresh challenge. Consider, for example, some 100 pieces of furniture suspended high above the stage in Arthur Miller’s “The Price.” How does Fred Kinney, scenic designer, do it? Suspend, as well, your disbelief of this aerial feat and settle into your own piece of theatrical furniture for one of Triad Stage’s most intense efforts ever, selected and directed by artistic founding director Preston Lane. Directors matter. With Lane, expect excellence. The Broadway revival of Arthur Miller’s “The Price” is scheduled to open in a couple of weeks. But local audiences will have the opportunity to see Triad Stage’s production of the same play first. 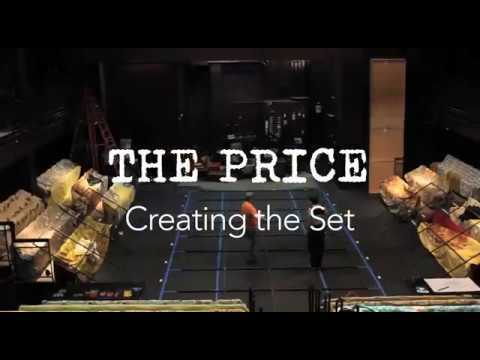 “The Price” is scheduled to open in Greensboro on Jan. 29, marking the first time Triad Stage has presented a Miller play.